"We'd stay here again in any future stay. It's a wonderful pl..."
Have a question for Soul Mini Hotel? "Host is very friendly and can speak well English." "Jeff offered me a warm welcome when I arrived." 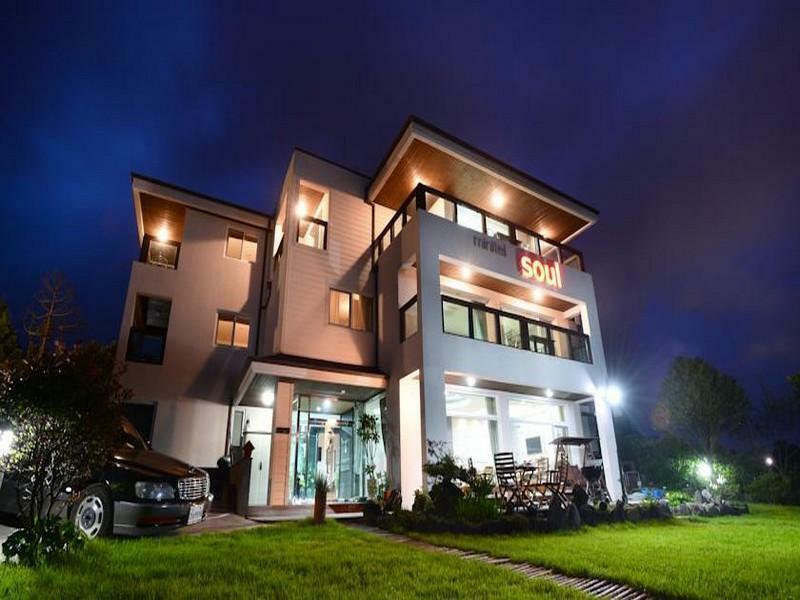 Offering quality accommodations in the family fun, sightseeing, beaches district of Jeju Island, Soul Mini Hotel is a popular pick for both business and leisure travelers. From here, guests can enjoy easy access to all that the lively city has to offer. 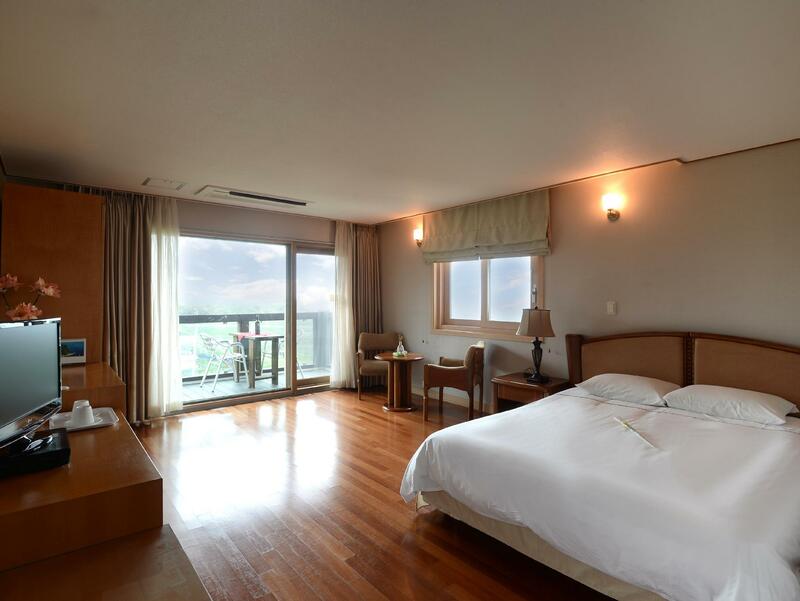 With the city's main attractions such as Hyatt Hotel Casino, Jeju Shilla Hotel Casino, Jungmun Golf Club within close reach, visitors to the hotel will just love its location. The facilities and services provided by Soul Mini Hotel ensure a pleasant stay for guests. Top features of the hotel include free Wi-Fi in all rooms, Wi-Fi in public areas, valet parking, car park, family room. The ambiance of Soul Mini Hotel is reflected in every guestroom. television LCD/plasma screen, internet access – wireless (complimentary), non smoking rooms, air conditioning, heating are just some of the facilities that can be found throughout the property. The hotel offers an excellent variety of recreational facilities, including golf course (within 3 km), garden. 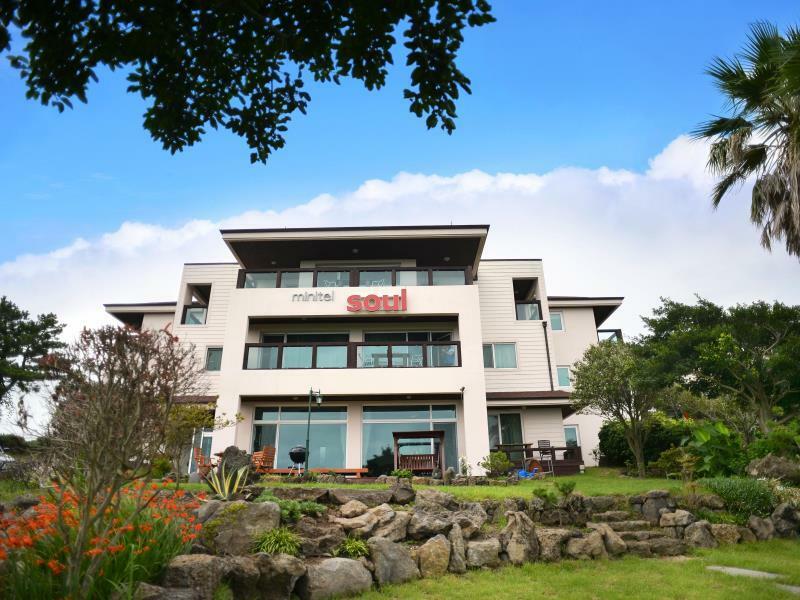 Soul Mini Hotel is your one-stop destination for quality hotel accommodations in Jeju Island. "The hotel is lovely designed with very spacious rooms and be..."
The Hotel have a great sea view, very nice place and relax. The owner upgraded our room to 2 bed rooms 180° sea view. Staff are very friendly. Breakfast is very good. Jeff & his wife were wonderful host. Very restful place to stay, quiet at night & birds chirping in the morning (we r here in October). Best to drive here. I stayed at this hotel for one night while cycling around Jeju. Location wasn't an issue for me as I had my bike. The hotel is lovely designed with very spacious rooms and beautiful view -- although it was foggy during my stay. Jeff offered me a warm welcome when I arrived. The breakfast was also very delicious. Jeff & Lee make this place. The room was large with a mini-fridge and cable TV which was more substantial than at a major Korean chain we stayed at for one night at Gimpo. Breakfast is "minimal," but with bread, a hard-boiled egg, fruit, cereal, coffee & tea what more do you need? Parking is a bit tricky with space limitations but doable. Restaurant choices usually mean having to drive, the major pitfall for this location. We'd stay here again in any future stay. It's a wonderful place with the old-fashioned Korean hospitality. the location is remote but if you come with transport, then should be fine. have a sea view at my room clean and flooring is warm enough. no heater come with air conditioner but come out with cool air, come with a controller but in Korean word, can't read. bed is clean bathroom is clean. price at acceptable level. front counter person can speak very fluent English and very very helpful and friendly. if you want to experience a different style of hotel, please try this. this hotel is convert from a bungalow . Don't forget to enjoy the orange farm next to it. cheers. Clean and nice apartment. Host is very friendly and can speak well English. We had a great stay in the Soul Mini Hotel. The room was clean and quite large with a nice view on the balcony. The host is a very polite man that speaks English very well and is willing to help if necessary. He even gave us a ride to the north part of the island since he was driving that way. The location of the hotel is near the seaside (approximately 1.5 km) and is perfect for a morning jog. The hotel is not that accessible with public transportation, but taxis are all over the island and are cheap. Another option is to get a rent car (but don't forget your international drivers license in that case!). I was welcomed by Jeff who speaks very good English. He wanted to make sure that I was comfortable and was very kind. He walked me to the bus stop and gave me a map to get where I wanted to go. The room was quite nice and the view of the sea was lovely. In the morning I walked through the eco park down to the coast. It's a beautiful little walk and I'd highly recommend it. Lots of birdsong with trees and a river. The coast is about a 15-20 minute walk from the hotel. Jeff gave me some local oranges and also recommended a place for dinner. Breakfast was nice. Everything was clean. It's not that easy to get to by public transportation, but you can. There is a bus just around the corner that takes you to Jungmun. I liked staying here. Helpful staff, very clean facilities and very little hassle involved in staying in this hotel. Overall a great stay. Staff are more than willing to help with any requests and they go more than the extra mile. Highly recommended. The stay was nice. We were surprised to find a convenient local bus that picked up just around the corner from the place that ran to Jungmun. It wasn't too difficult to explore all along the Southern and Eastern coasts. The staff were very kind and enthusiastic about helping us with anything we needed - especially helping us get to the airport in time for a very early flight. The only disappointment was that we booked an ocean view room from which you could only see the ocean if you went out on the balcony and the breakfast wasn't spectacular. However, they do have kitchenette you can use to prepare your own food if you would like. Good. Friendly owner who helped to recommended where to visit, helped us to order take-away. Room was spacious with balcony - we had enjoyable kyochon fried chicken with beer at the balcony :) There's sea view from the room but sea is actually quite a distance away...not walkable. Location of the hotel is a little remote and roads are very dark at night but as long as you have a gps there should be no problem locating it. We were very happy staying in this hotel. We booked a seaview deluxe room, and the owner gave us a free upgrade to the royal suite! :) We also given a free ride by the owner to the downtown. The hotel is easily accessed for both drive and public transport. I definitely will stay again in this hotel in nearly future. We stayed at Soul Mini Hotel for 3 nights. We were able to find the hotel quite easily using the GPS in our rental car. The hotel is situated in a quiet neighborhood. There''s an ecopark right in front of it and it leads to the seaside. It was pleasant walking in the park but there's really nothing much to do at the beach. As for our room, it is spacious and clean. One thing to note, there are many mosquitoes at night so do bring some insect repellent if you are prone to insect bites like me. Breakfast consisted of toast, cereals, egg with juice and coffee/tea. Simple but more than enough for me. Best thing about this hotel is the friendliness and helpfulness of the staff. They are ever willing to help us and they always have a smile on their faces. Thanks to them, we had a most enjoyable stay in Jeju. My stay here was great and would definitely come back. The staff were always super helpful and accommodating and the hotel/room is quite clean and spacious. Nice ocean view but unfortunately some kind of construction is happening which means the view will soon be blocked with buildings or something which is really unfortunate. If staying here, definitely plan on renting a car as it would be a little difficult to get to and from by relying on buses and taxis. Super close to the Jungmun tourist area but far enough away for a relaxing and quiet vacation. Definitely a recommended place to stay.